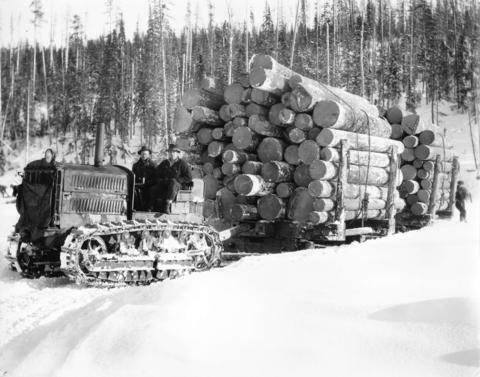 Item : CVA 677-802 - B. C. Spruce Mills, Lumberton, B. C. Tractor hauling two big loads. Notes on the back of the photograph read: "This was taken at the time that tractors began displacing horses. The cables are still on them that the hill brake up the hillside let them down with."